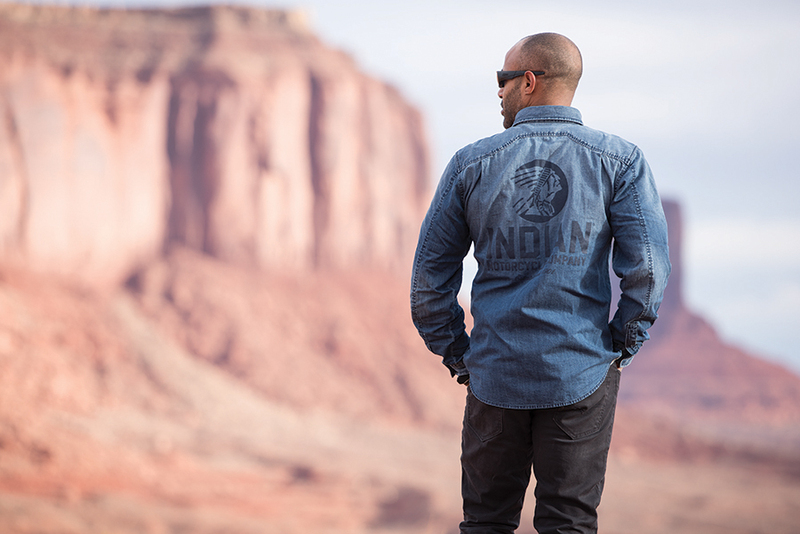 This long-sleeved denim shirt has ‘INDIAN’ written on the back in navy print (similar to the logo on the fuel tank of the new Scout Bobber). There are branded leather-look labels on the chest pocket and front hem and all of the buttons have Indian written on them. 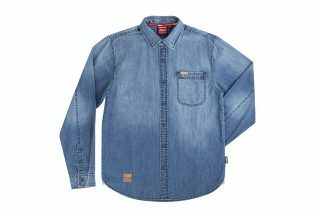 Available in sizes S to 3XL.